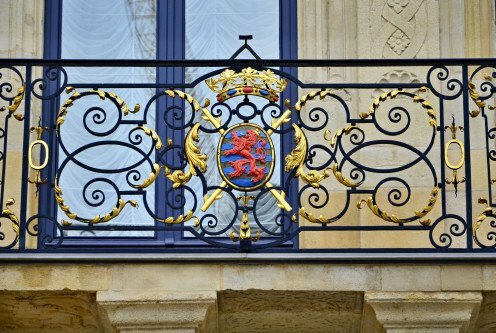 Visiting Ornamental Ironworking at the Grand Ducal Palace, Luxembourg City: Baroque Counterpoise? These ornate examples of ironworkings (see photos, above) undoubtedly show the influence of Baroque style, very popular in Continental Europe from the 16th to 18th centuries. Part of the Baroque project involved the crafted attempt to exude a sense of elegant confidence in the forms and customs of established rulers, within a Counter-Reformation tradition. Thus also, within Baroque-influenced ironworkings, there was the aim to project a sense of balance and counterpoise. In former times, especially, ornate ironworkings on a regal or aristocratic property also projected a sense of distance and even an element of mystery between rulers and the ruled. 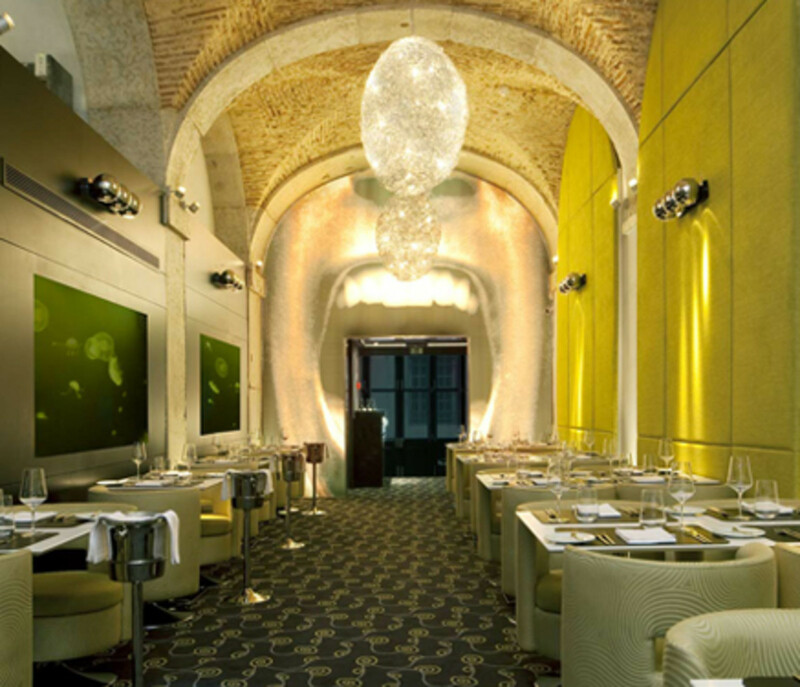 In the 18th century, in Rococo there emerged a development of Baroque which introduced elements of asymmetricality, even jocularity, within a style which formerly projected equilibrium and formal confidence. Gone was the attempt to exude balance and stability; these were seemingly set aside in favour of a sense of experimentation and abandon. 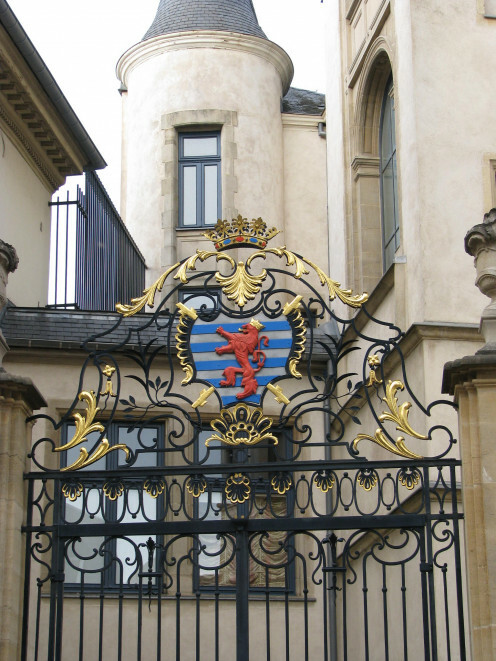 The ironworkings at the frontage of Luxembourg City's Grand Ducal Palace may be well described as models of balance and carefully preserved ornateness. One wonders, however, whether some of the past debates within Baroque art may be somewhat symbolic of developing perceptions of Luxembourg's monarchy in contemporary times. At various periods, past Grand Dukes and Grand Duchesses have been regarded as models of reserve and constitutional propriety, their personas quietly subsumed into their institutional and national rôle. Or sometimes also they have been perceived as personalities whose strengths and opinion-driven actions have cut a swathe through convention while the people they led have negotiated their way through turbulent times. It is an undoubted that nearly every European monarchy has undergone periods when some younger members of the royal family in question have been perceived as either needing to break with supposedly irrelevant conventions or else as having set aside past proprieties whien some traditionally minded citizens may have wished that they had more fully maintained. 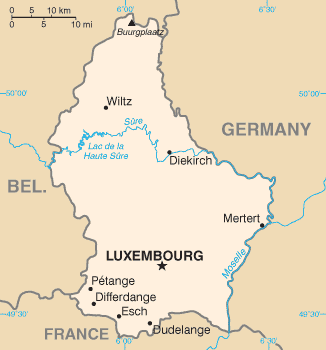 In the case of the Grand Duchy of Luxembourg, the institutional culture has in the past been characterized generally by a deep sense of tradition and conservatism (in a non-political way), marked as the country has been by allegiance to the Roman Catholic church on the part of a large proportion of its citizens. The Grand Ducal family itself was long regarded as having exemplified the code of behaviour identified with the Almanach de Gotha. 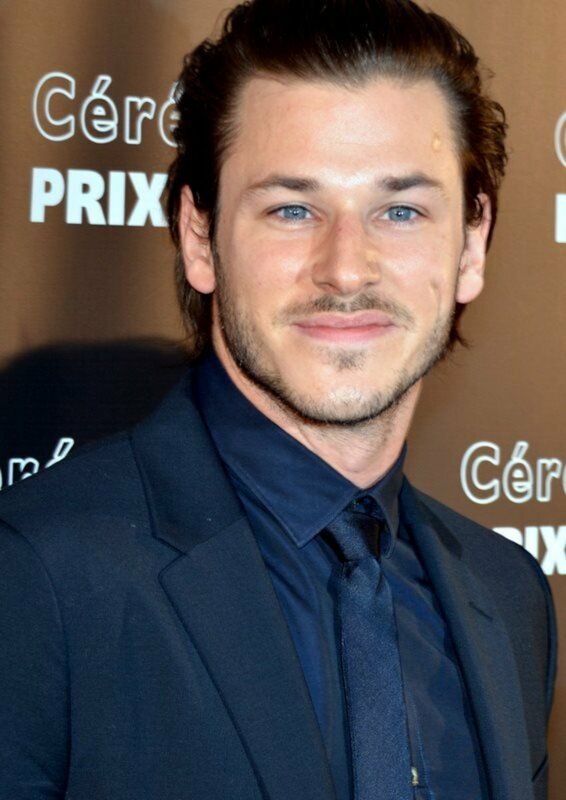 In recent decades, a succession of events involving younger members of the Grand Ducal family have reminded observers that at a human level the high born are also subject to the pressures and intense interests of common citizens. Some people would argue that this is in certain ways a good thing, because it supposedly makes the Grand Ducal family more 'relevant', and diminishes a sense of distance between it and the ruled. Others would argue the opposite: that it is in the very qualities of restraint, predictability, precaution and deliberate distance that marks out members of a reigning family as those who can be relied upon, and looked up to, in their actions and stances. 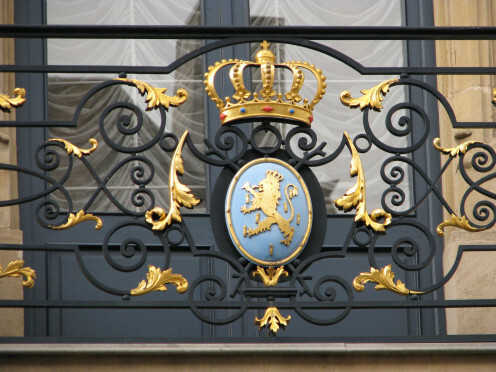 For members of the Grand Ducal dynasty, therefore, to cause surprises (1) would once have been noted as rare. As Luxembourg historian Gilbert Trausch commented a number of years ago, once a sense of mystery and reserve are lost to the workings of a monarchy, it will be hard for them to be restored (2). 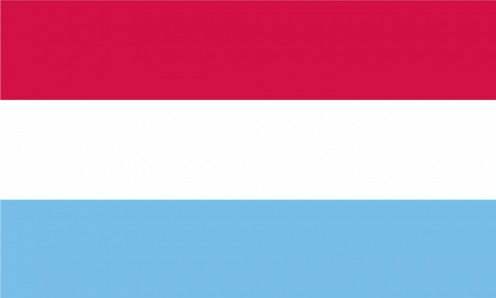 (1) An example of an event which caused surprise among many Luxembourg citizens occurred in October 2013. To the disbelief of many supporters of the Christian Social People's Party (CVP)(French: Parti populaire chrétien social; Letzebuergesch: Chrëschtlech Sozial Vollekspartei), which, led by the sitting Prime Minister Jean-Claude Juncker offering himself for reelection, had just emerged with by far the largest number of seats in the country's Parliament, Grand Duke Henri did not call upon their leader to try to form a coalition, the usual governing arrangement within an electoral system using proportional representation. My purpose in commenting is not to suggest that the Grand Duke was either right or wrong in doing this; doubtless the Grand Duke, who has reigned since 2000, had his reasons, and there is no suggestion that he was acting unconstitutionally. But one is maybe entitled to wonder from a broader perspective how long a constitutional monarch in any country could continue to give large numbers of his subjects and fellow-citizens these sorts of surprises, without that particular monarch's rôle being called into question eventually. This rather unusual episode is reminiscent of events in other countries with a monarchical form of government. For example, in Australia in 1975, the then Governor-General Sir John Kerr used reserve monarchical powers and suddenly dismissed Prime Minister Gough Whitlam, who had the support of the Federal Parliament, and replaced him. Students of Canadian history will also recall how in 1926 Canada's Governor-General Viscount Byng of Vimy refused a Parliamentary dissolution to the sitting Prime Minister William Lyon Mackenzie King (an episode often referred to as the King-Byng Thing). Both of these Viceregal representatives acted strictly within the letter of their respective constitutions, yet the element of surprise among citizens and supporters of Parliamentarians enjoying the largest support in their countries may be said to have hastened moves to restrict the powers of the office of Governor-General in both Australia and Canada. Stated differently, one wonders how many Gough Whitlam Moments the Grand Ducal family could continue to be identified with, before their subjects and fellow citizens would try to insist on a more reserved and restrained exercise of the monarchical prerogative. In Luxembourg City itself, its many visitor attractions include the Cathedral, the Pont Adolphe over the Pétrusse Valley, the Casemates, the ancient St. Quirin church, and many others. How to get there: The nearest large international airport is Luxembourg (Aéroport de Luxembourg ), at Findel, from where car rental is available. For North American travellers making the London, England area their touring base, airlines flying to Luxembourg include Luxair (from London Heathrow Airport and London City Airport) and CityJet (from London City Airport). For up to date information, please check with the airline or your travel agent. You are advised to refer to appropriate consular sources for any special border crossing arrangements which may apply to citizens of certain nationalities.